Is Shaklee Multi-Level Network Marketing? Home » Blog » Home Business Blog » Is Shaklee a Multi-Level Marketing Company? Is Shaklee a Multi-Level Marketing Company? Let me stop you right here. Shaklee is a multi-level marketing company, and a very successful one at that. Unfortunately because of some bad companies out there some people have misconceptions about what multi-level marketing companies are and have to offer. How multi-level marketing companies work is that a sales specialist is compensated for the sales that they personally generate as well as the sales that other people on their team generates. The team members, also known as a downline make up an organization. The sales specialist and members of the team, sell products directly to customers whom they discover due to personal relationships, referrals or word of mouth marketing. This type of business is attractive to many entrepreneurs who are looking to create and grow their own income in a time, place and way that works best for their lifestyle. Companies like Shaklee provide training, support and a rewarding compensation plan to make your efforts rewardable. This concept of multi-level marketing has been around for a while and the use of sales people is the backbone for many businesses. It is a great way for a business to get their products out to the marketplace and shared by people who use the products and want to share them with others. What makes multi-level marketing different from the dreaded pyramid scheme is that MLM’s actually sell products to members of the general public, without requiring consumers to pay anything extra or to join the MLM system. In the eyes of Robert Kiyosaki (entrepreneur, investor and author), “Corporations are really pyramid schemes. A corporation has only one person at the top, generally the CEO, and everyone else below.” A true network marketing business is the exact opposite of a traditional business model. A network marketing business is designed to bring you up to the top, not keep you down at the bottom. A true network marketing business does not succeed unless it brings people up to the top with them. Many companies are set up so that the individual can build their own business the way they want to – either direct selling to the consumer or selling and recruiting. BEWARE- there are companies out there who want you to focus strictly on recruiting without a strong focus on their products. You need a good mix of the two. Really check out a company to see that their products are very important to their overall business opportunity success like Shaklee’s are. You don’t want your chosen company to lean too far to the recruiting side and not provide excitement and training to the product side. What Is New About MLM? Technology has made immense changes for how businesses conduct themselves. 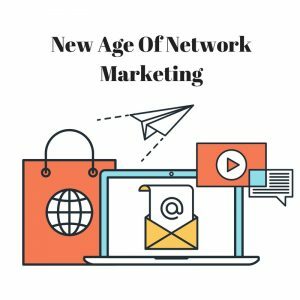 The new way of doing network marketing has shifted towards social media engagement (Facebook, Pinterest, Twitter, etc), personal websites, blogs and so on. Connecting online has become such a normal way of doing business, that some Distributors have built great businesses of their own only social media. I like using a combination of both “in person” and “social media” connections. Many times, I will meet someone in person, and then begin communicating with them online through a social media site. I’ve created my own Facebook business page to help me connect with those I know and those they know. Another point to bring up is the “selling” aspect of multi-level/network marketing. What we do is “share” what we have and what we do. Social selling is more acceptable now, because most businesses are promoting their business online due to it’s growing popularity. Social media is a great way to help grow and connect to your network. BUT….did you ever think that choosing the best network marketing company might greatly depend upon the person who owns the company? The person who signs your checks? I bet not. I’m going to set the bar high right away. I want you to get to know Shaklee’s owner, Roger Barnett, and why he made Shaklee the focus of his life. This was a new model, not used by corporations or family-owned operations. Distributors could choose to just sell products, as if they had a store OR sell products and recruit their product users, or at least some of them, to sell products to those they know. Shaklee is a leader in multi-level marketing for many reasons. They have been around for over 60 years, carry some of the top natural nutrition products, have a rewarding compensation plan and are led by a very successful and philanthropic owner. Here are a few reasons why I choose Shaklee. 2) Shaklee is the #1 Natural Nutrition Company in the U.S. Under the leadership of Roger Barnett, Shaklee resonates with both women and men. Contact me and we can simply talk about how Shaklee can create the healthy, wealthy future that you truly want. I’m happy to speak over the phone or email, whatever is comfortable for you.